Who will pay for a ludicrous wall? A 21.6 billion wall is probably the most wasteful project the Trump presidential administration seeks to pursue in the coming years. The leaked price tag involves a construction cost of 17.3 million per mile or a little bit less than 10 thousand dollars for every yard in its path. The project is likely to run into cost overruns. Americans, not Mexicans, will end up paying dearly for this pharaonic project. In purely financial terms, such project can only be constructed through a Bill in Congress approving the necessary appropriations. President Trump cannot create those funds with an Executive Order. Americans paying federal taxes — not Donald Trump, who presumably has not paid federal income taxes for almost two decades — would pay for the infamous wall. But the most substantial cost to Americans from this ludicrous wall is that it will undermine security and the partnership with Mexico in the fight against transnational drug traffic organizations. The funds to pay for a wall must come out from the pool of federal revenue, and their opportunity cost is in projects that will be abandoned as an alternative use of taxpayers money. The notion that a new tax can be invented to collect revenue from “Mexican” sources is simply a lie. 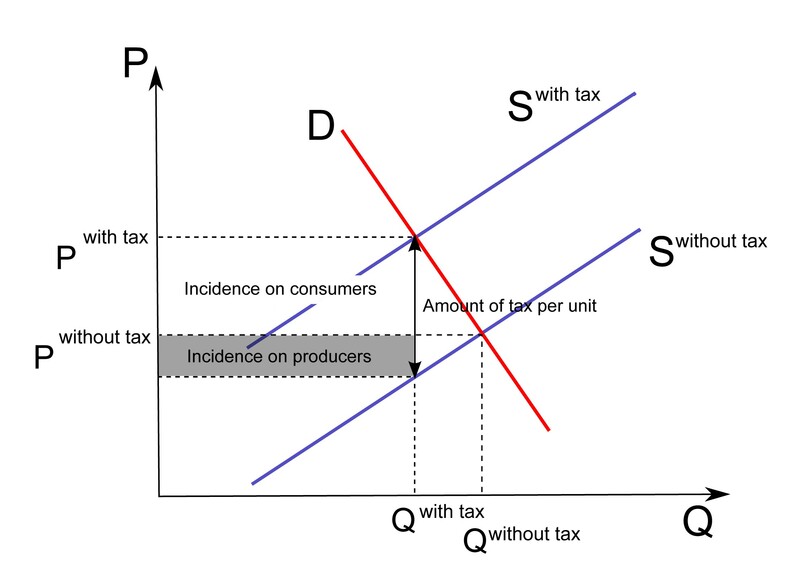 Consumers and producers are the ones to share a burden of the tax incidence. A tax creates a wedge between supply and demand, a higher price reduces exchange, governments extract revenue, and there is a deadweight loss to producer and consumer surplus that gets dissipated. If an extraordinary tariff were to be levied, say on NAFTA-related automotive sector trade with an inelastic demand from US companies, American car companies or car buyers would end up paying most of the tax. If Americans have become used to eating avocado during football games and their demand is inelastic, the fans will pay a compensatory border tax on avocados. If a tax is levied on Mexican remittances wired through the Western Union, provided a high enough elasticity of substitution, migrants will use other means for transferring money, including cell phone airtime or cash, so US financial institutions and their institutional investors will be the ones to pay the cost. Unless the US is planning to use gunboat diplomacy to force Mexico to transfer money directly to the US Treasury, Americans will pay for most of the Trump’s wall. Who would benefit from this project? Five thousand additional Customs and Border Protection jobs, which will also require Congressional appropriations. If the previous fence construction is any guide, the companies involved will not be small independent contractors, but large corporations, companies with multimillion dollar projects. If construction workforce becomes scarce, both documented and undocumented workers in the building sector will do well. Given the transportation costs of materials to the border, local companies (the Mexican multinational Cemex in particular) will supply the cement for the concrete in the structure. Hence beneficiaries of a wall will be primarily special interests including many Mexican workers and companies. But the effect of the wall for Americans should be measured not regarding jobs or contracts, but security. Will an average American see any benefit from the expense of this money? Probably not. The strategic plan of the Customs and Border Protection agency is to base the deployment of resources on a risk-based strategy that relies on so-called “change detection” techniques, namely the use of technology, rather than physical barriers, to detect and respond to changing threats. These include mobile surveillance, video surveillance, night vision, thermal devices, ground sensors, and Unmanned Aerial Systems (UAS) over-flights. Such technological capabilities, coupled with Mobile Response Teams (MRT), are the best way to respond to intelligence-driven targets, cross-border criminal activity, and any evolution in the threats to US national security. A wall can only deter entry of the relatively harmless migrants, most of them coming from Central America, including women and unaccompanied minors. The worst consequences of the wall are, of course, not to the US, but for Mexico. The construction of the wall harms the good will that has characterized the binational relationship for so many years. To avoid being detected, hundreds of migrants will die from exposure as they shift their crossing routes to more dangerous areas in the desert. Mexican President Enrique Peña Nieto will lose support to reach agreements with the US that may seem to give up sovereignty, even if they may be good deals for both countries. Any efforts to recoup costs through tariffs, compensatory duties or taxes on remittances will undermine trade and capital flows that fuel the engine of growth for both the US and Mexico. But a relatively unappreciated aspect of the wall is that the all these adverse consequences for Mexico will spill over to the United States, ultimately undermining the security of American citizens. Arguably the most important reason why the wall is such a misguided policy by the Trump administration is the apparent contradiction of this project with the goals of the Executive Order issued on February 9, regarding transnational criminal organizations. That Executive Order has received little attention, probably because this is a matter where both left and right agree the US and its allies in the world are threatened by drug traffic and other criminal organizations — “bad hombres,” as President Trump would probably characterize them. The methods drug traffic organizations use to conduct business threaten the security of drug users, illegal retailers, law enforcement officers and innocent bystanders. There is no question that they endanger American safety and wellbeing. But the greatest harm these organizations have done is not to the United States, but to Mexico, Colombia, Central America and the Caribbean. The violence in Mexico has been unleashed to a large extent due to efforts from Mexican governments to cooperate with the US in its hemispheric policy of the war on drugs. The dilemma for the Trump administration is that the Executive Order from February 9 establishes the need to: “(d) enhance cooperation with foreign counterparts against transnational criminal organizations and subsidiary organizations, including, where appropriate and permitted by law, through sharing of intelligence and law enforcement information and through increased security sector assistance to foreign partners by the Attorney General and the Secretary of Homeland Security.” The single most relevant country in the world that has been a “foreign partner” of the US, “battling transnational criminal organizations” (this language comes from the Executive Order) has been… well, Mexico. So the Trump administration cannot have it both ways. If they want cooperation from Mexico to fight the penetration of dangerous drug traffic criminal organizations into the US, they should give up on a foolish project that only plays a symbolic role among his most rancorous supporters. 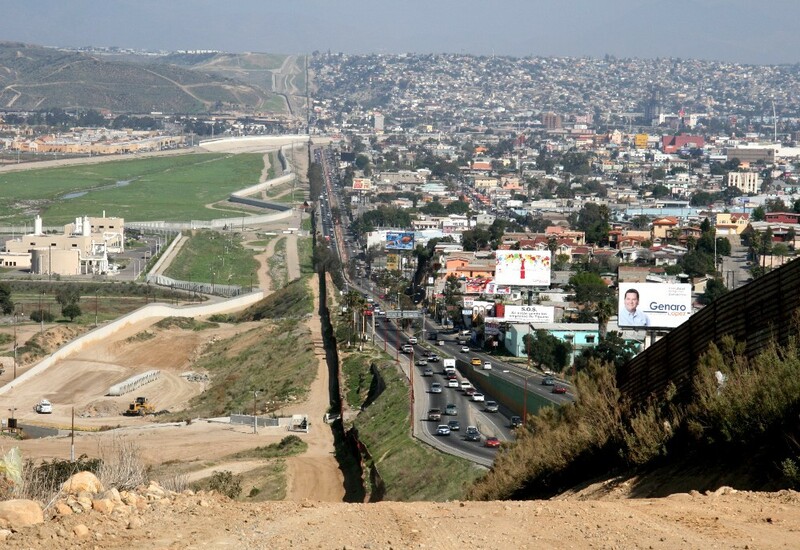 Mexico-United States border will be secure only if both countries work together. There are many better ways to use 21.6 billion dollars to improve the bilateral relationship and the security of the United States with Mexico. For starters, the US could use some of that money to provide aid and press Mexico to improve its human rights record. The US could be helping Mexico to better train police officers and military personnel to uphold basic standards of conduct and become more efficient in fighting against organized crime. The US could press Mexico to uphold the cherished values of democratic accountability, the rule of law and transparency. The US has an opportunity to start imagining a border for the 21st century, rather than looking back to the 19th when Mexico and the US were at war. A truly cybernetic wall, in which human and technological resources on both sides of the border are deployed and shared to prevent the flow of illegal merchandise in both directions: guns into Mexico and drugs into the US. Both countries could work together in the humane treatment of undocumented aliens as they attempt to cross the border and find joint solutions on how to handle this flow. And legal flows of economic activity, the exchange of culture, and the movement of capital and people could thrive, making both nations better and better off. Taxpayers, both in Mexico and the US, would probably be willing to pay for that. The Center on Democracy, Development, and the Rule of Law produces policy-relevant research to advance political development. This is a publication prepared by faculty from the Center on Democracy, Development and the Rule of Law at Stanford University. The CDDRL bridges the worlds of scholarship, policy and practice to understand and advance the conditions for democratic development around the world.